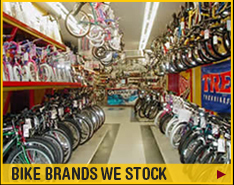 We pride ourselves in being an exceptional bicycle shop with the lowest pricing and highest quality of customer service. After all, you cannot become the oldest bicycle store in the nation without meeting those criteria. But don’t just take our word for it, see for yourself what our customers have said about us. I purchased a Cannondale hybrid bike from Bellitte Bicycles last month and I had the best experience! 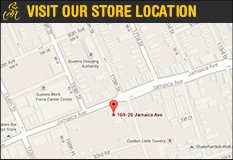 The staff was very friendly and knowledgeable and helped me select a bike that is perfect for me. Bellitte Bicycles is truly an experience. The senior staff has extensive knowledge about bikes and the technologies available on the market today… If you are looking for a bike regardless of your experience level I highly recommend Bellitte Bicycles you will NOT be disappointed. My father used to bring us here for all of our biking needs and now as an adult, I refuse to go anywhere else… I don't care where I live, I will always travel here to buy my bikes from these guys. There's no other place like it. Had my bike serviced at the shop, and greeted with a friendly smile and at a reasonable price. I walked away with a smile. 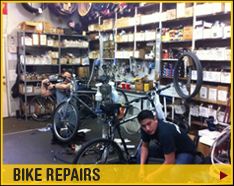 I highly recommend the shop for bike service of any type. Keep it up guys.